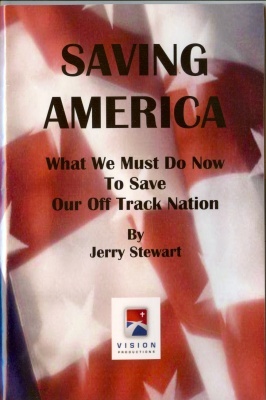 "Saving America - What We Must Do Now To Save Our Off Track Nation"
Simply said, we are at a crucial crossroad in our nation. And whichever way we choose to go as a nation will soon, perhaps very soon, determine our fate. But, here's the good new - there is still time if we move now, but we must take action! I invite you to read my book, "Saving America". I believe it will help you to see just what your part is in saving our great nation. I encourage you, after you read my book, to share it with your family & friends. It's a quick and easy read, and it may be the most important book you've read in awhile. Finally, remember this - the forces of evil are strong and unrelenting, but with God's mighty Help we can prevail; We can change the course we are on; we can save America!